Update: You can now pick up a PC copy of Wolfenstein II: The New Colossus from Amazon for £16.49. 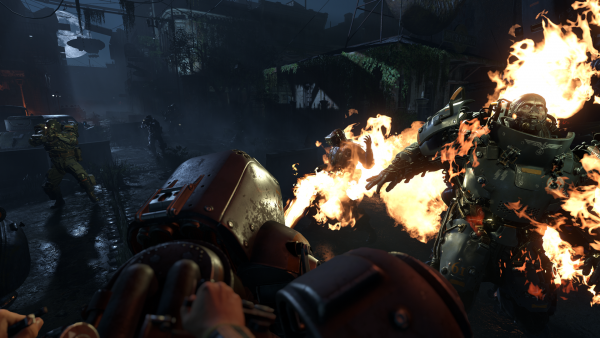 Barely a month after release, Wolfenstein II: The New Colossus has already been discounted to £20 / $30 on PC as part of Green Man Gaming’s Black Friday sale. Huge discounts are also available on a couple of Bethesda’s other recent releases, including The Evil Within 2 for £20 / $30 and Prey for £15 / $20. We’re following all sorts of Black Friday deals this week now that the sales event has spread from a single day in the US to a whole fortnight across the globe. You can have a browse of our PS4 Black Friday deals, Xbox One Black Friday offers, Nintendo Switch Black Friday discounts and Black Friday PC gaming savings. Elsewhere in the Green Man Gaming sale, you can get Middle-earth: Shadow of War for £26.99 / $35.99 and XCOM 2: War for the Chosen for £26.24 / $29.99. More offers are listed on our Green Man Gaming sale roundup.